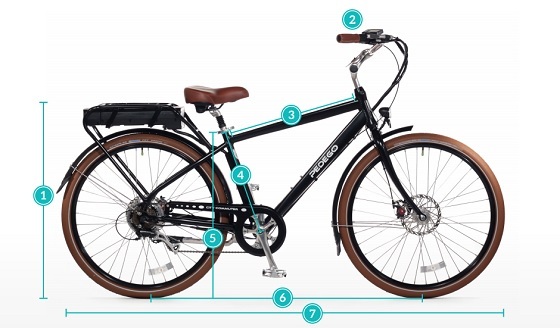 The City Commuter Black Edition has the option between a 48V 10Ah and 15Ah battery. The 48V 10Ah is powerful, and perfect for riders over 200 pounds, or if you bike in an area with lots of hills or strong headwinds. The 15Ah option is the best of both worlds, and is the most popular option. It has all of the power of the 48V 10Ah battery and the extended range of the 36V 15Ah. 33 in. 26 in. 24 in. 18 in. 30 in. 44 in. 75 in.